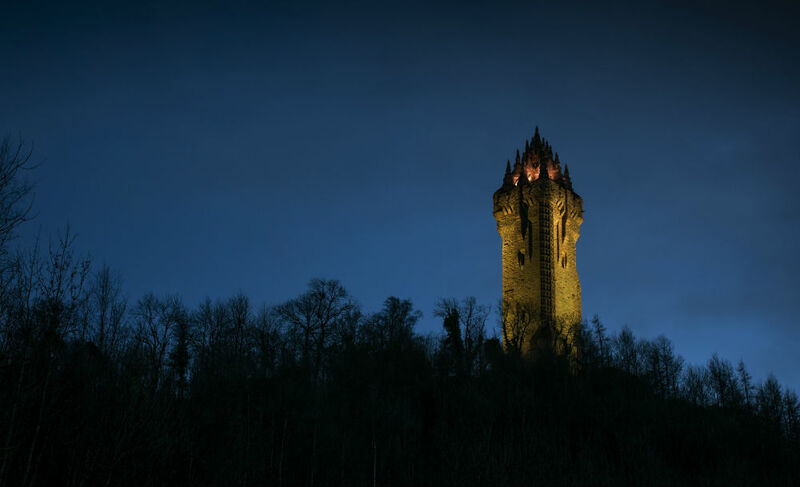 The iconic National Wallace Monument illuminated at night. STIRLING’S National Wallace Museum will re-open to the public this Friday following a refurbishment of the exhibition galleries. The transformation, which began in February this year, celebrates the landmark’s 150th anniversary features sculptures of heroines, Maggie Keswick Jencks and Mary Slessor, an animated film about the Wallace story, and a viewfinder to reveal how the Abbey Craig appeared in the 13th century. Zillah Jamieson, Stirling District Tourism Chair, said: “We wanted to tell the story of William Wallace better than it has ever been told in the past. “The upgraded exhibition spaces will resonate with modern audiences from all over the world, through dynamic storytelling and digital enhancements. Until May 2019, admission charges are reduced by 20% due to ongoing conservation work and further details can be found on the website.